Spend quality time with your family while hiking and learning the natural history of Yosemite National Park from our local guides. These interpretative tours combine short easy hikes with outdoor educational sessions that will benefit children and parents alike. Learn about the natural world and listen to the stories of Yosemite while we take you to some of the best photo spots in the park. 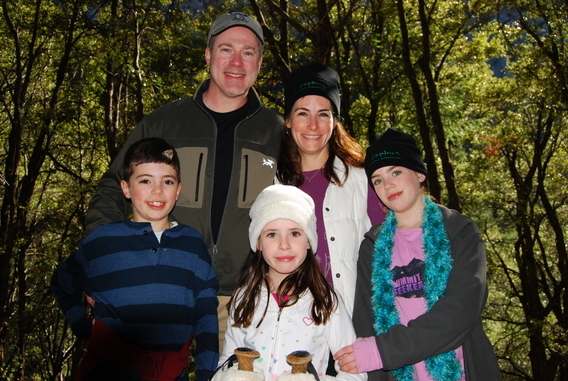 We offer these introductory Gentle & Moderate Hikes at a special discount to families. Additional discounts are available for any group over 5 people for other types of hiking trips. Expect to hike four to six miles with minimal elevation gains. Excursions will last approximately four to five hours. There is a 4 person minimum on all family discounted outings. Some Hiking Tours may be available in Spanish with Lindsay Black or Matteo Fiore (Ofrecemos viajes en Español). Please check for their availability. Beginner Hikes (Level 1 of 5) Enjoy a pleasant half-day hike on a relatively gentle trail in Yosemite Valley or the High Country that will allow for excellent photo opportunities and a chance to picnic perched atop a magnificent vista point or alongside a meadow, lake, or stream. These introductory hiking tours are perfect for beginners. Expect to hike four to five miles with minimal elevation gains. Tours will last approximately four to five hours. Moderate Hikes (Level 2 of 5) Escape from the masses and take some of Yosemite’s most scenic trails a little further. These introductory hiking tours are perfect for beginners and novice hikers. Expect to hike five to six miles with elevation gains up to 1000 feet. Tours will last approximately five to six hours. With the hustle and bustle of modern life thousands of feet below and many miles away, time has nothing to do but slow down. This gives you ample time to appreciate the Yosemite high country in all its glory. Whether it is the alpine meadows overflowing with wildflowers, or the best crystal clear swimming holes known to mankind, you just can’t go wrong. Our richly experienced guides hope to offer insight into the many facets of back country living. A few examples include the creation of simple delectable meals, ways of streamlining your gear, and the practice of various techniques that will minimize physical strain and allow you to feel at home in the mountains. The winter months offer exclusive opportunities to enjoy Yosemite’s trails from a truly different perspective on a pair of snowshoes. These outings explore lesser known trails and will be conducted as hikes if we do not have a sufficient amount of snow in the area. Price includes rental of snowshoes and poles. 4 person minimum. Private Hiking Tours All Hiking Tours can be made private by adding $125 to the price of the Hike.